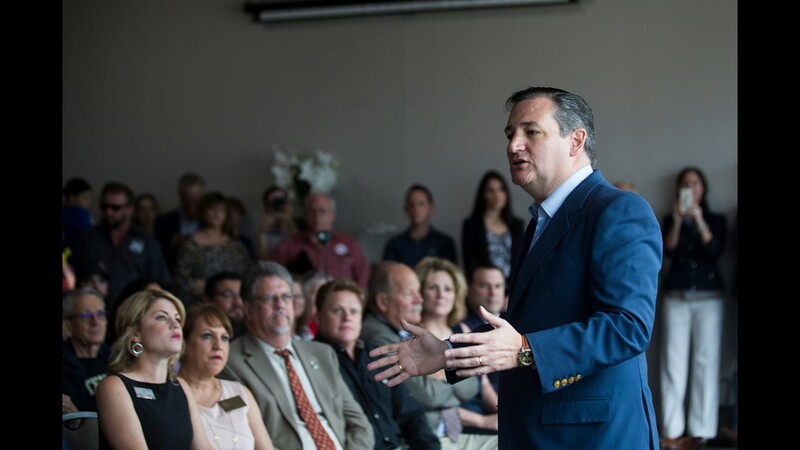 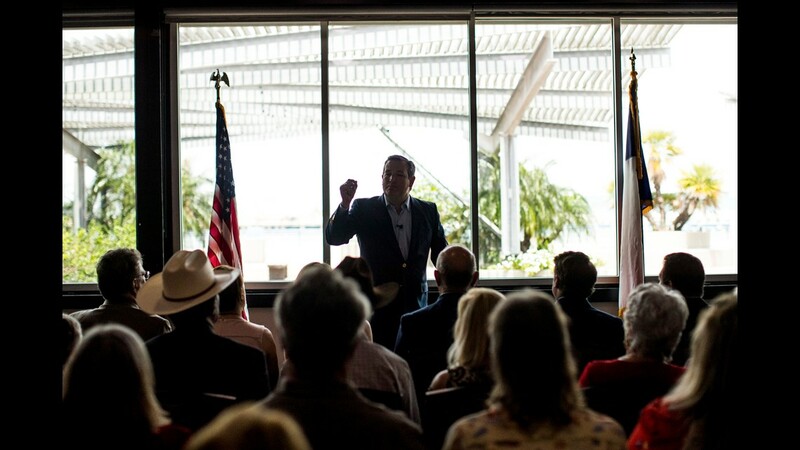 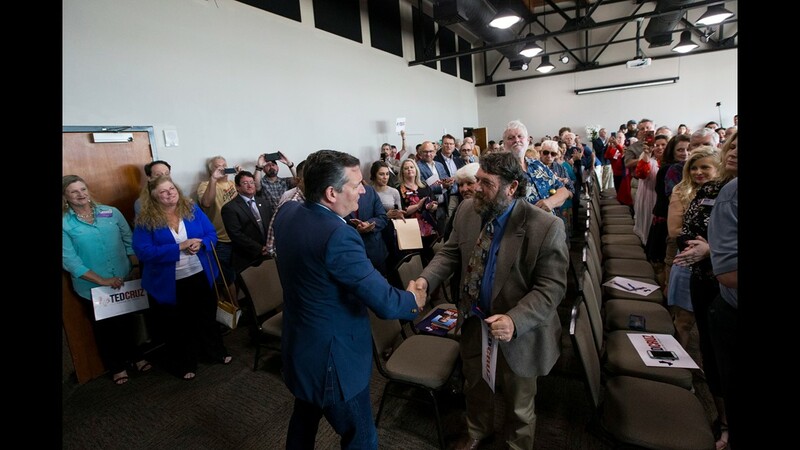 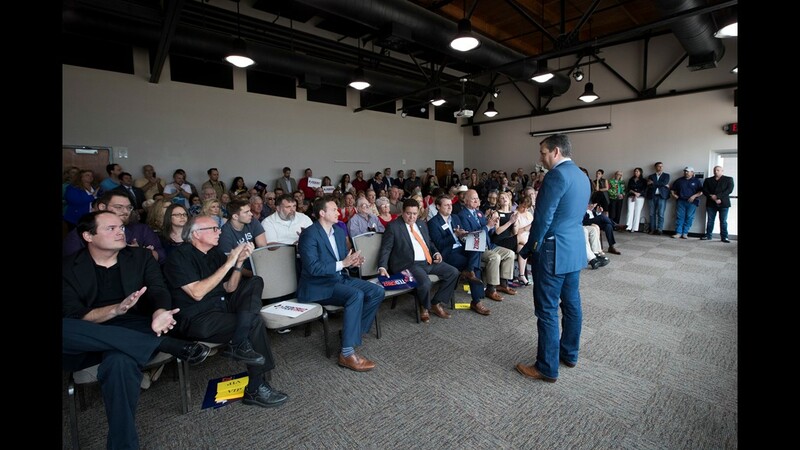 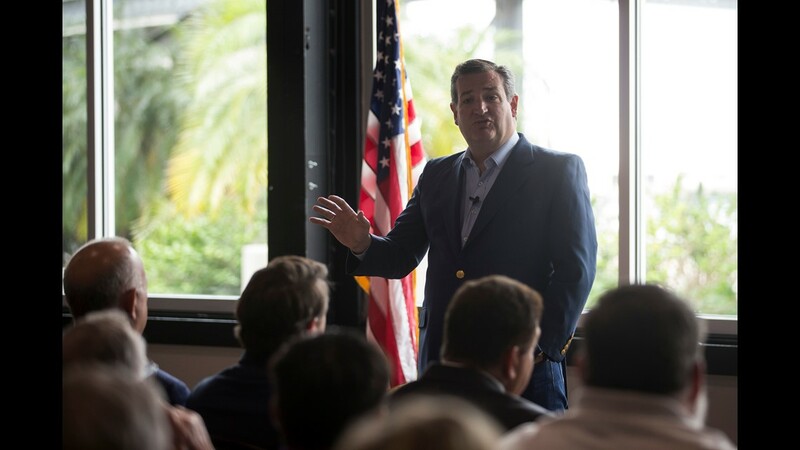 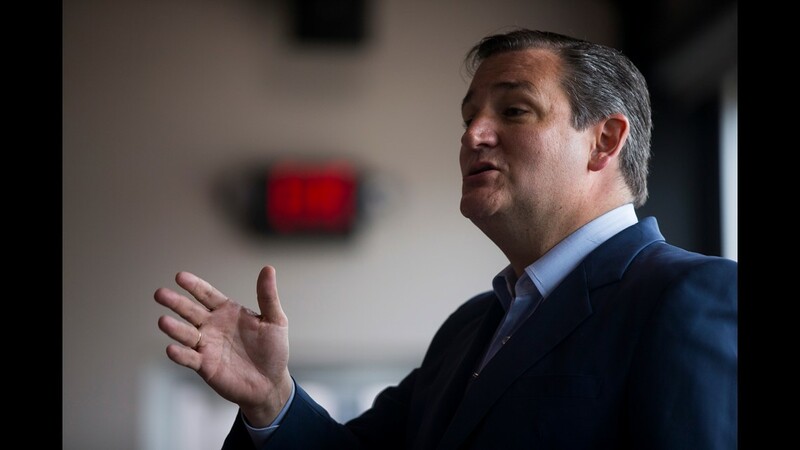 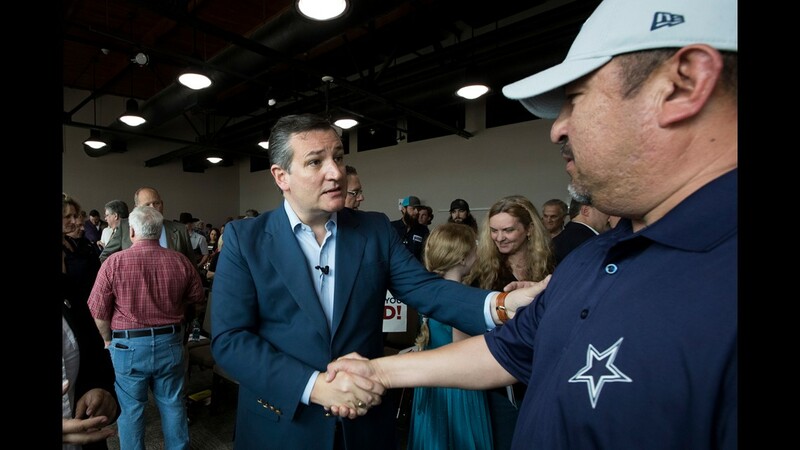 U.S. Sen. Ted Cruz speaks at a campaign event on Tuesday, April 3, 2018 at the Ortiz Center in Corpus Christi. 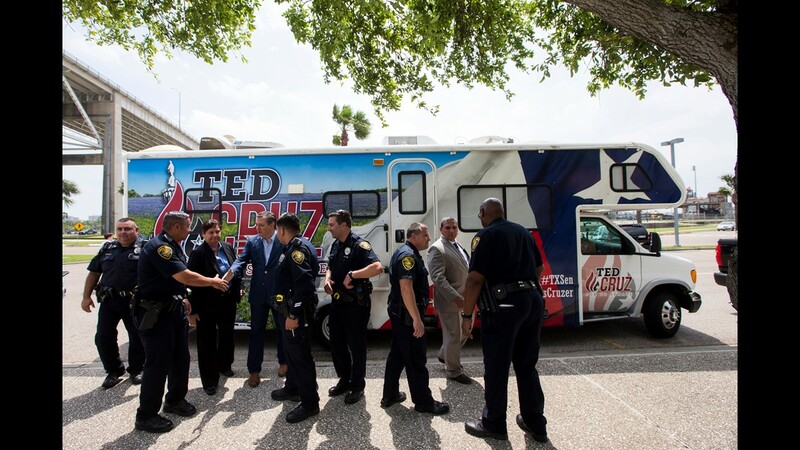 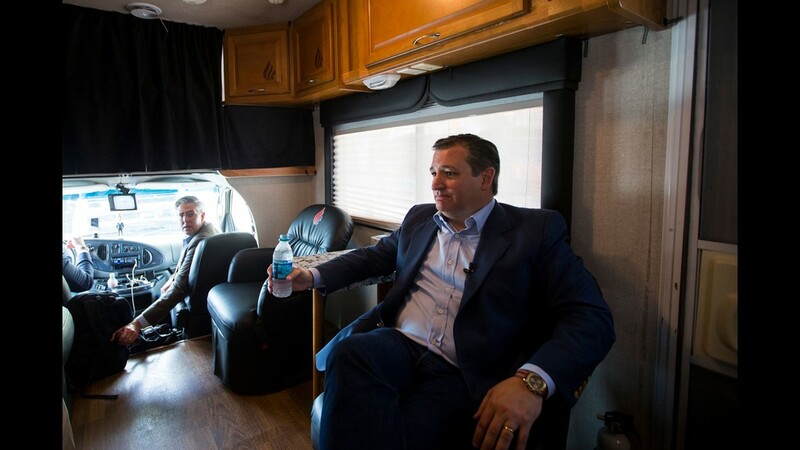 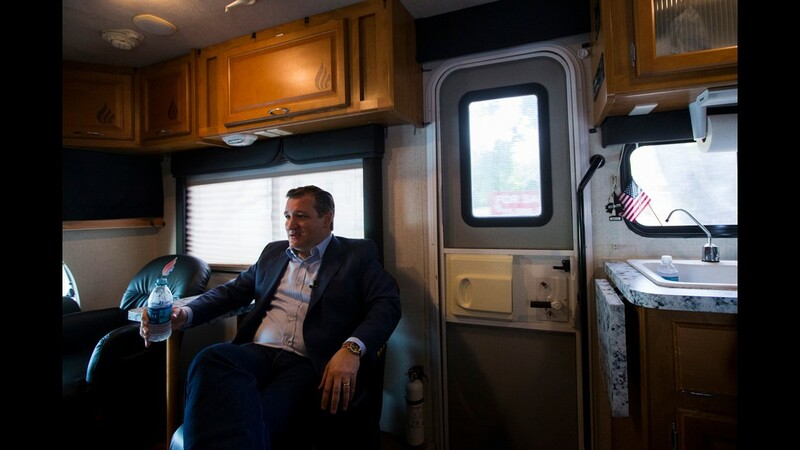 U.S. Sen. Ted Cruz rides in his campaign bus following an event Tuesday, April 3, 2018 at the Ortiz Center in Corpus Christi. 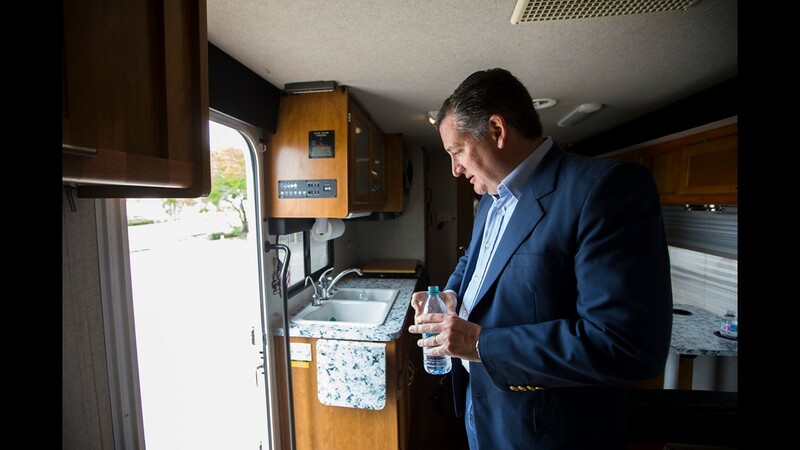 A bobble head of U.S. Sen. Ted Cruz sits on the dash of his campaign bus following an event on Tuesday, April 3, 2018 at the Ortiz Center in Corpus Christi. 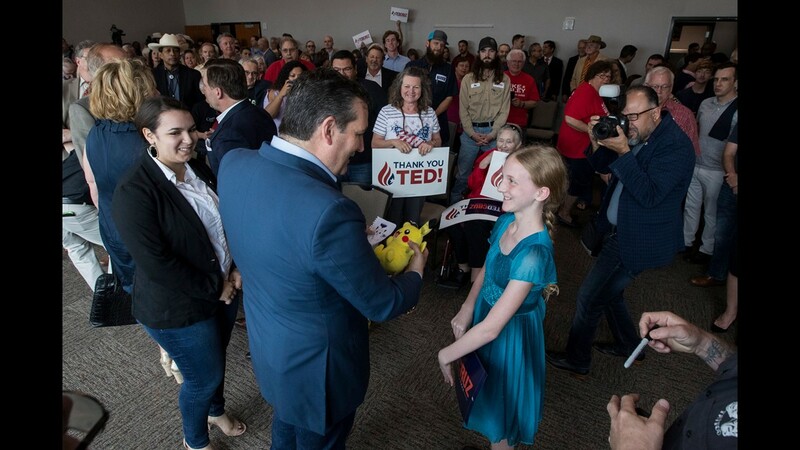 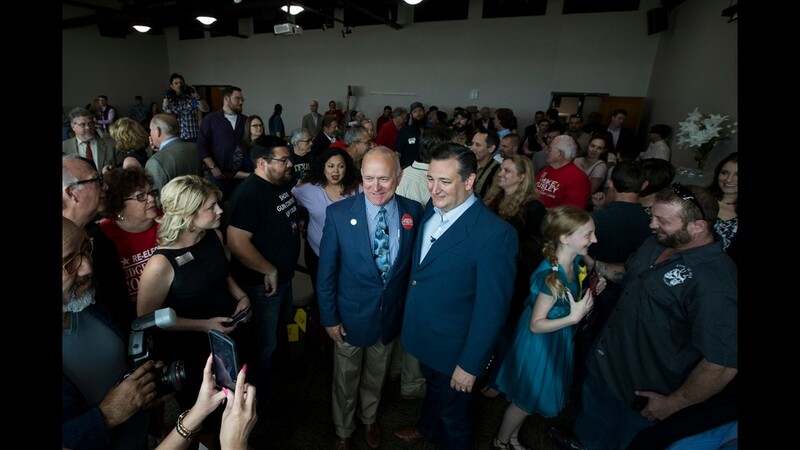 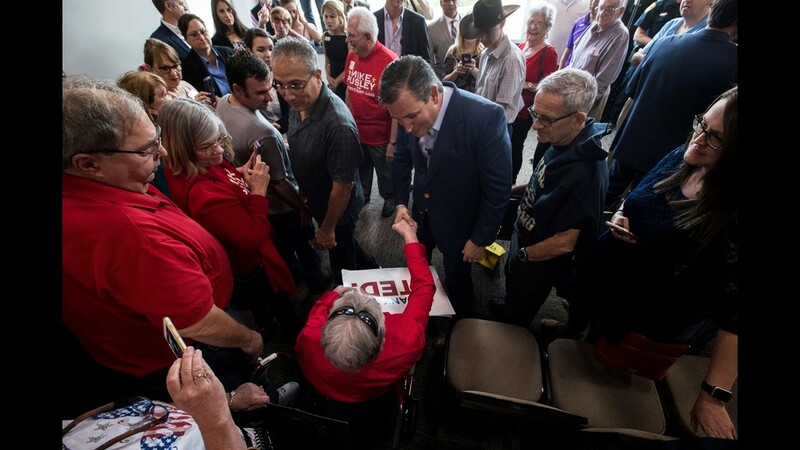 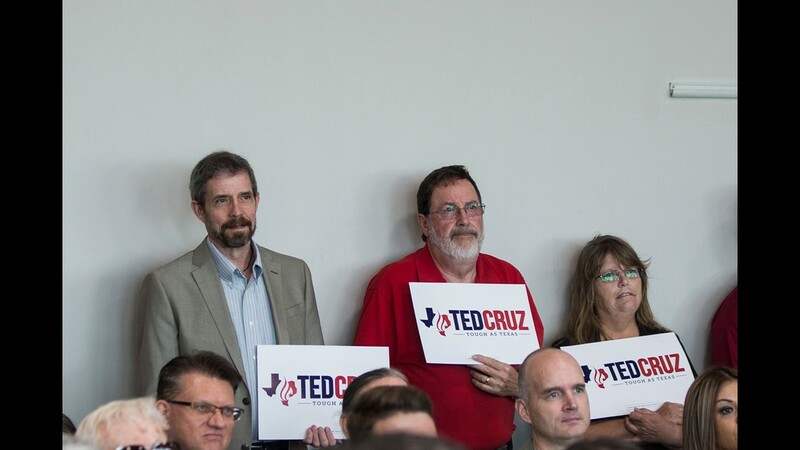 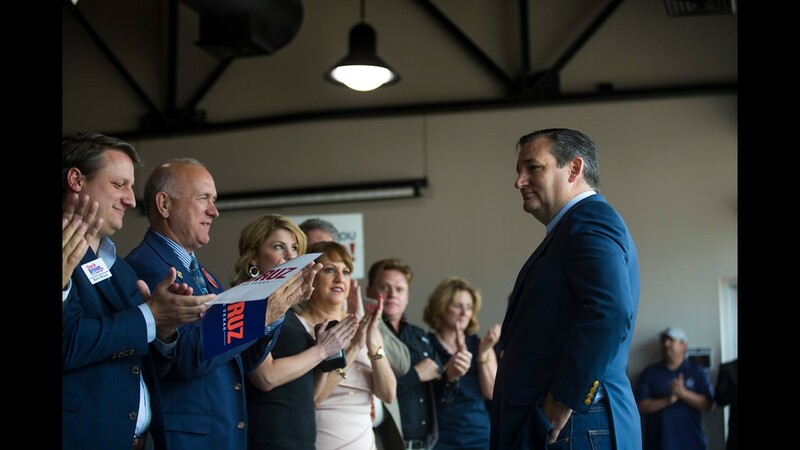 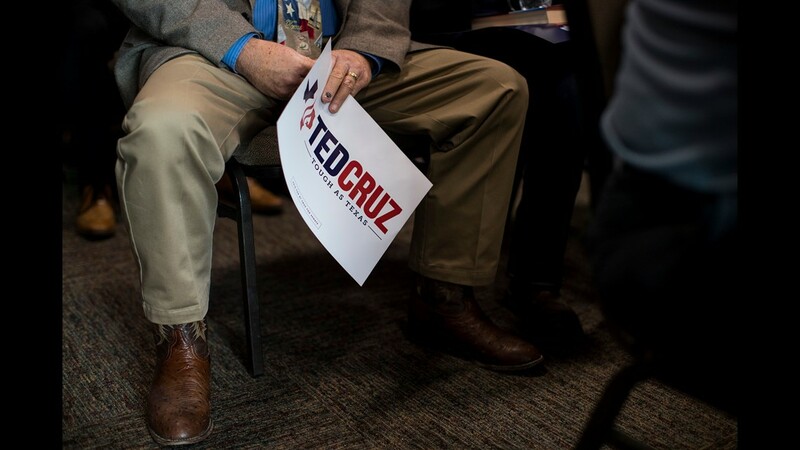 Supporters of U.S. Sen. Ted Cruz hold up signs during a campaign event on Tuesday, April 3, 2018 at the Ortiz Center in Corpus Christi. 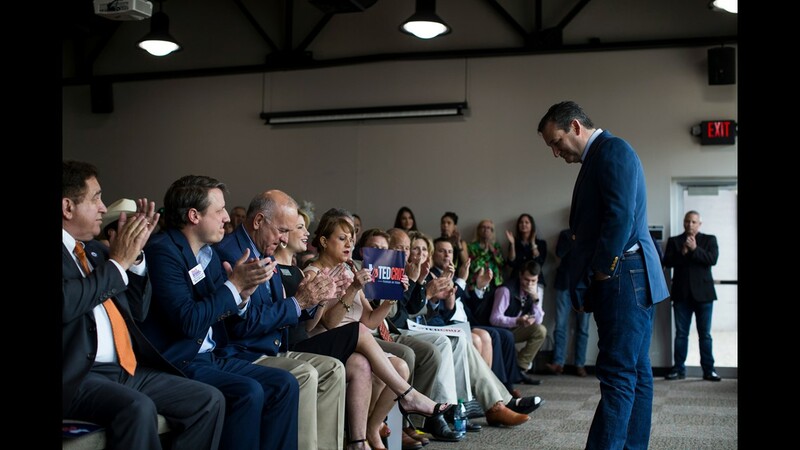 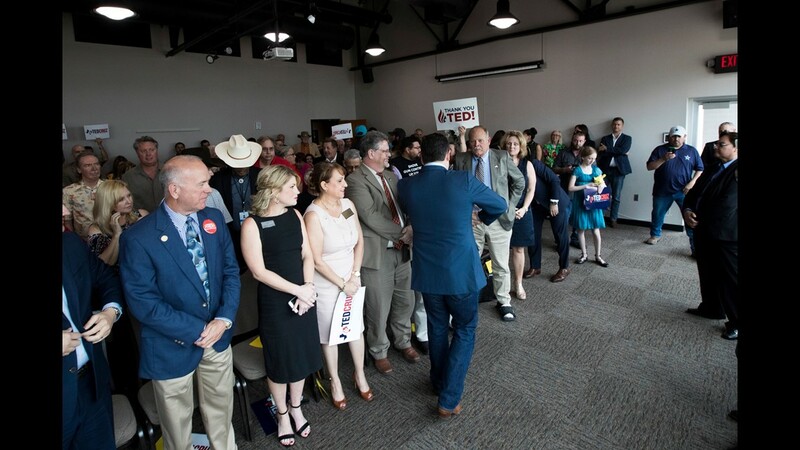 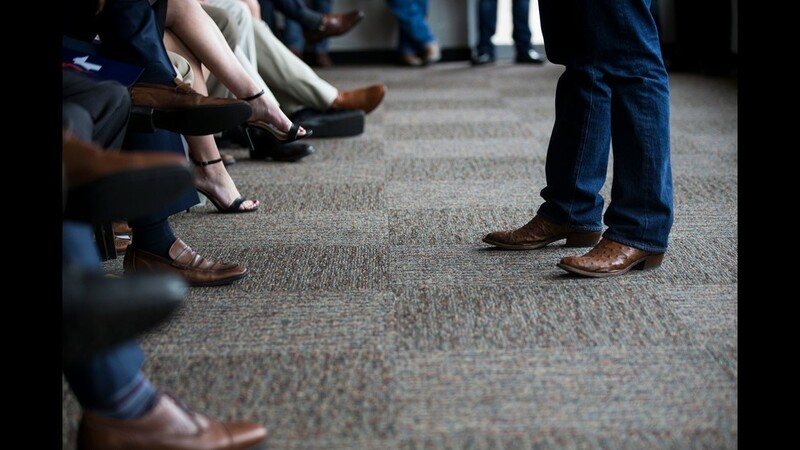 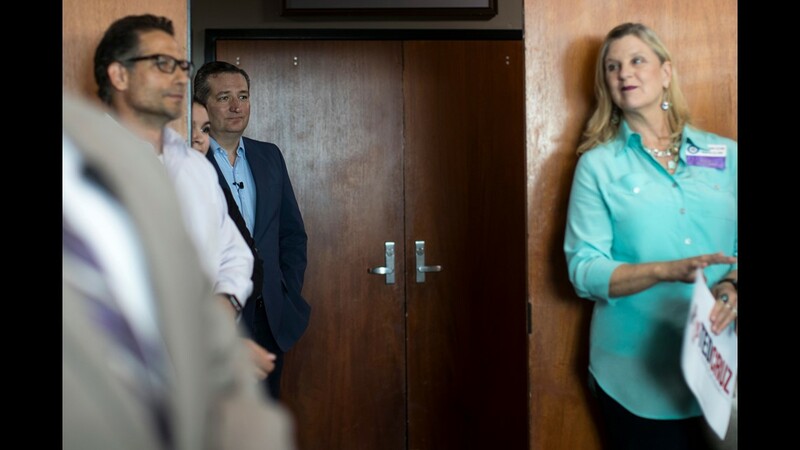 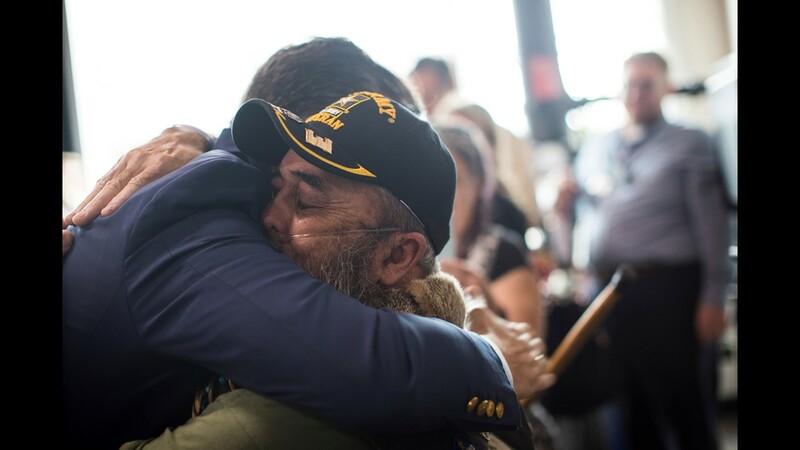 U.S. Sen. Ted Cruz peeks through a door before he addresses supporters on Tuesday, April 3, 2018 at the Ortiz Center in Corpus Christi.